Australia’s tertiary education system is failing to meet the nation’s needs, and is in danger of churning out graduates who will become the “educated poor”, according to the recipient of one of the country’s top training awards. Bruce Mackenzie, a former CEO of Holmesglen and former TDA chair (2010-11), was presented with the Lifetime Achievement Award at the Australian Training Awards just over a week ago. In his acceptance speech, Mr Mackenzie highlighted what he said was “inept educational policy”, notably the failure to use the national resources of the TAFE system to drive innovation through applied research and links with industry. “To its credit, the Australian government has a policy of fostering innovation. We have not, as a country, been able to respond to this policy initiative,” he said. He warned that efforts to change university culture from a research focus to strong engagement with industry were “a waste of time” and overlooked the extraordinary capabilities that already exist in large diversified TAFE institutions. “Our current system is in danger of churning out graduates who will become the educated poor with skills formation a casualty because we do not embrace applied education at a tertiary level. “Inept educational policy will do less overt but more damage to our country than any pink batt or banking fiasco,” he said. Funding of the VET sector by all levels of government suffered a downturn during 2016, according to the latest figures from the National Centre for Vocational Education Research (NCVER). During 2016, operating revenues for the government–funded VET system were $8,144 million, a decrease of $1,642 million or 16.8%. Revenue from the federal government fell 27.3% – something the Assistant Minister for Vocational Education and Skills Karen Andrews attributed to the closing of the troubled VET FEE-HELP scheme. Revenue from state and territory governments decreased by 12.8%. The one bright spot was revenue from fee-for-service activities which increased by $33 million or 2.9%. See ‘Cuts, cuts and more cuts‘ in The Australian. The issue of government support for VET was the subject of an ABC TV 7.30 program featuring VET experts, industry representatives and and TAFE institutes. The Mitchell Institute’s Peter Noonan said state governments had “really dropped the ball”, having stripped a billion dollars from the VET sector between 2014 and 2015. Holmesglen CEO and TDA Chair Mary Faraone said the lack of a level playing field between VET and higher education meant that TAFE students were at a disadvantage and skills training was being skewed. “I think the country as a whole has a fascination with universities and university degrees and it will be at the detriment of skills and what we need as a country into the future,” Ms Faraone said. Christine Robertson, the Pro-Vice Chancellor, VET, at Charles Darwin University has been appointed Deputy Chair of TAFE Directors Australia. Christine replaces the former Deputy Chair, Jodi Schmidt, who resigned as CEO of TAFE Queensland in September. Prior to joining Charles Darwin University, Christine was the Deputy Director Vocational Education at RMIT University, and has a background in vocational education and community development across regional, rural and remote Australia and in Asia Pacific. The South Australian government had opened subsidised training to a wider range of private providers and lifted payment rates in the latest changes to the WorkReady Subsidised Training List (STL), which takes effect next January. Around 50 additional qualifications will be available to be delivered by private RTOs (registered training organisations) including courses in construction, engineering, renewable energy and IT, which were previously only offered by TAFE SA. In addition, the subsidy rate for private providers will be increased. The Minister for Higher Education and Skills Susan Close said the changes would mean a more level playing field between TAFE SA and private providers. The Department of Education and Training is rolling out resources to assist the VET sector in getting out the message that VET offers a remarkable array of career choices, and is just as prized as a university degree. The VET Information Strategy was launched at the Australian Training Awards in Canberra and includes the new ‘real skills for real careers’ initiative and tagline, and a revamped My Skills website. The Assistant Minister for Vocational Education and Skills, Karen Andrews said that raising the status of vocational education and training was a key priority. “The fact is that VET qualifications lead to successful, meaningful, professional careers with great salaries and outstanding career prospects,” Ms Andrews said. Tasmania’s former auditor-general Mike Blake is to become the new chair of TasTAFE. The Minister for Education and Training Jeremy Rockliff said Mr Blake was an ideal appointment with significant experience. “He brings substantial audit experience (public and private sectors), and as a Director of Chartered Accountants Australia and New Zealand and chair of their audit and risk committee, bringing substantial financial and risk knowledge and understanding,” Mr Rockliff said. Also appointed to the board was Professor Janelle Alison, Principal of the University of Tasmania College. TasTAFE’s new CEO Jenny Dodd starts early next year. TAFE institutes may be interested in the federal government’s Seasonal Work Incentives Trial (SWIT) which started in July and which is designed to encourage unemployed people to take up seasonal work in the horticultural industry. Eligible participants on Newstart or Youth Allowance Eligible can earn up to $5,000 from qualifying seasonal horticultural work without affecting their income support payment and may be able to claim up to $300 in travel allowance. As well as earning extra money, taking up work under the trial could help participants secure a long term job in the horticultural industry. There is information available for job seekers and for growers here. The projects listed below have commenced for the forest, timber, pulp and paper and animal care and management industries, to review and update current units of competency, skill sets and qualifications. Broad industry consultation is scheduled to commence early next year for each of these projects, when draft qualifications, skill sets and units will be made available for comment on the Skills Impact website. Please visit the project webpages by following the links below and register your interest to keep up-to-date on project activities. Skills Impact is supporting the relevant Industry Reference Committees (IRCs) to undertake these projects. 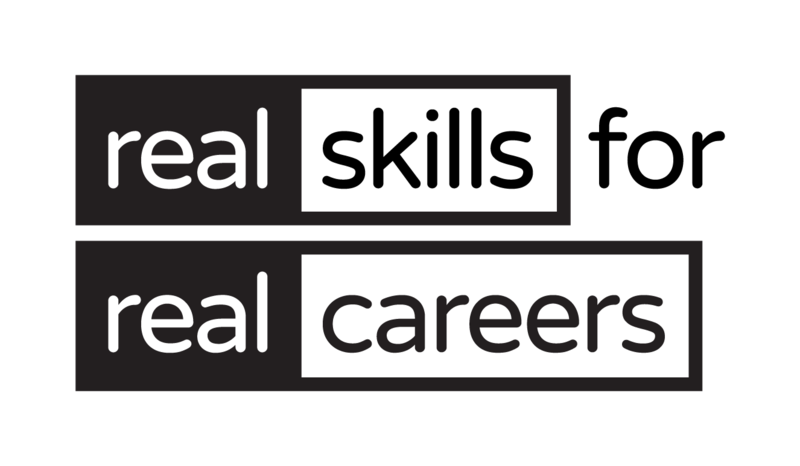 Skills Impact is a national Skills Service Organisation, funded by the Australian Government to support the operation of Industry Reference Committees across a range of industries.